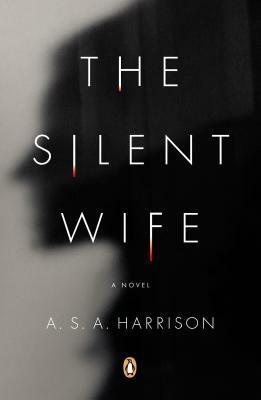 Today I'm featuring the opening paragraphs from The Silent Wife by A.S.A. Harrison, which I got as a gift. It's early September. Jodi Brett is in her kitchen, making dinner. Thanks to the open plan of the condo, she has an unobstructed view through the living room to its east-facing windows and beyond to a vista of lake and sky, cast by the evening light in a uniform blue. A thinly drawn line of a darker hue, the horizon, appears very near at hand, almost touchable. 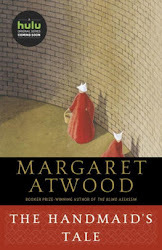 She likes this delineating arc, the feeling it gives her of being encircled. The sense of containment is what she loves most about living here, in her aerie on the twenty-seventh floor. At forty-five, Jodi still sees herself as a young woman. She does not have her eye on the future but lives very much in the moment, keeping her focus on the everyday. She assumes, without having thought about it, that things will go on indefinitely in their imperfect yet entirely acceptable way. In other words, she is deeply unaware that her life is now peaking, that her youthful resilience--which her twenty-year marriage to Todd Gilbert has been slowly eroding--is approaching a final stage of disintegration, that her notions about who she is and how she ought to conduct herself are far less stable than she supposes, given that a few short months are all it will take to make a killer out of her. First Chapter ~ First Paragraph #61 was originally published by Catherine for bookclublibrarian.com. This post cannot be republished without attribution.